On the second day of Jeff Sessions the DoJ filed notice in the Fifth Circuit that it is withdrawing its request that a nationwide injunction against pro-transgender policies be limited to the states that sought the injunction. Then, in a joint request with the states challenging the policy, the states and the Justice Department both requested that the oral arguments on that issue be removed from the court’s calendar. A bill that was introduced in the South Dakota State Senate that would have required the state's public school students to use locker rooms, shower rooms and changing facilities matching the gender they were assigned at birth was withdrawn yesterday. The bill was sponsored by Sen. Lance Russell, who said he withdrew the bill because of Gov. Dennis Daugaard's promise to veto the bill if passed and because the legal defense team which promised to defend the bill withdrew its support because bathrooms were not included in the restrictions. On his last day as president (January 19) Barack Obama issued a memo to the USCIS (United States Citizenship and Immigration Service) instructing that agency to allow transgender immigrants to request a change in gender on their official documents. The change allows verification by foreign health care professionals of treatment undergone by legal immigrants in regard to their gender. The Virginia Senate Committee on General Laws and Technology moved two bills banning discrimination forward to the full Senate yesterday. Senate Bill 783, put forward by Sen Adam Ebbin (D-Alexandria), would ban discrimination against state employees on the basis of sexual orientation or gender identity. It passed by a vote of 12-3. A Georgia judge who denied two transgender men name changes last year has been overruled by the Georgia Court of Appeals. Columbia County Superior Court Judge J. David Roper abused his discretion when he denied the name change petitions, the Georgia Court of Appeals decision said. The appeals court sent the two cases back to Roper and directed him to enter an order changing the names. I totally admit I am no legal scholar and therefore would be better off avoiding analysis of possible SCOTUS nominees, but I see that rightwing voices are not so adept at such self-knowledge and may need to have their motives questioned. It says here that PEOTUS (emphasis on the pee) met with one of his short-listers for Scalia's seat on Saturday. HB 1361 was introduced in the Indiana legislature on Thursday. Its intent was to block transgender Indianans from updating their birth certificates. The intent of this bill is to strip transgender people of the most basic and fundamental dignity. HB 1361 seeks to deny the very existence of transgender people—with the cruel mandate that a transgender person’s birth certificate can never match the identity they live as and the person they have always known themselves to be. The LGBT community in West Philly is reporting that a violent man with a gun is targeting transgender women of color. This is nothing new. And we've been saying this for years that trans-women of color are in eminently more danger than most of the other folks in the LGBTQ community. The ACLU filed a motion yesterday for a stay on the national court order preventing the federal government from enforcing an ACA regulation that protects women and gender-variant people from discrimination in healthcare. The ACLU also asked the court to issue a formal ruling on its request to intervene in the lawsuit. Friday evening police were called to a Sioux Falls apartment building because a juvenile reported a strong odor emanating from a neighbor's apartment. 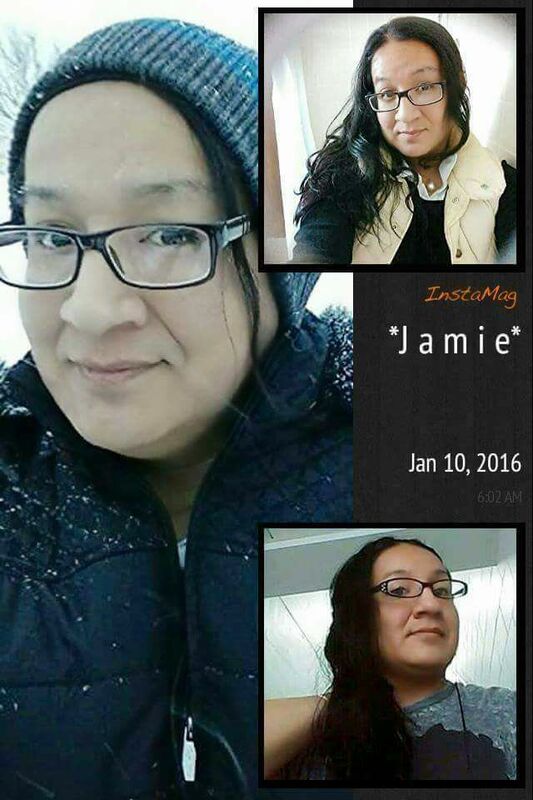 Investigators discovered the body of Jamie Lee Wounded Arrow, a 28-year-old transgender woman. She reportedly had been stabbed to death. Ms. Wounded Arrow was an Oglala Lakota who grew up on the Pine Ridge Reservation. A vigil was held outside the building on Saturday evening. We need justice and we will get it. I’m still in shock. I keep thinking she’s going to text me or come up here. I always judge myself more severely than everyone around me. She made me feel like I could be myself.